Another sign that it's time to replace your furnace is when your furnace is 15 years old or more. The average lifespan of a furnace is 15 to 20 years, so if your furnace is that old, then that means that it's at the end of its life and no amount of furnace repairs will be able to keep it going for much longer. If you neglect to replace your furnace after the 15-20 year mark, then it could become a safety hazard for you and your home. 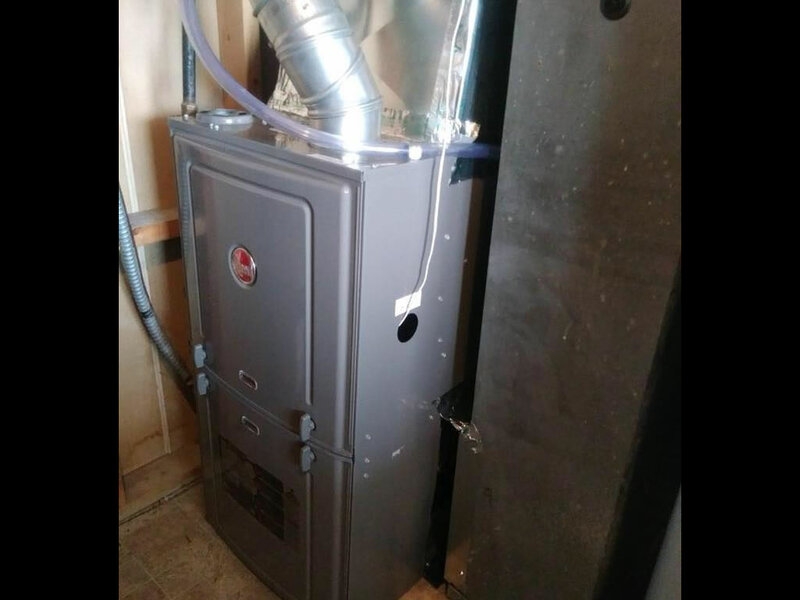 If you have an old or outdated furnace, then it's time to start thinking about getting a furnace replacement in Andover MN. All Climate Mechanical, your local HVAC contractor in Andover Minnesota, can provide you with the following services: Furnace Replacement, Furnace Repair, Furnace Service, Furnace Maintenance, Air Filters and Filtration, Boiler Replacement, Boiler Repair, Boiler Maintenance, Boiler Controls and Outdoor Resets, Pipe Thawing, Boiler System Operation, Unit Replacement, Unit Repair, Unit Maintenance, Storm Damage Assessment, Thermostats and Controls, Rebates, Preventative Maintenance, Air Conditioning Replacement, Air Conditioning Repair, Air Conditioning Maintenance, Air Conditioning Coils, Ductless Split Systems, Economizers, and Plumbing. Another sign that it’s time to replace your furnace is when your furnace is 15 years old or more. The average lifespan of a furnace is 15 to 20 years, so if your furnace is that old, then that means that it’s at the end of its life and no amount of furnace repairs will be able to keep it going for much longer. If you neglect to replace your furnace after the 15-20 year mark, then it could become a safety hazard for you and your home. If you have an old or outdated furnace, then it’s time to start thinking about getting a furnace replacement in Andover MN. Lastly, if your home has uneven, inadequate, or unreliable heating, or your furnace is showing signs of major disrepair, that’s a sign that it’s time for a furnace replacement in Andover MN. Uneven or sporadic heating is not only annoying and uncomfortable, but it’s also a sign that your furnace is no longer able to function efficiently and needs to be replaced. Moreover, if you notice that the flame in your furnace is yellow rather than blue, or that your furnace makes clanging or banging noises when it’s on, or it’s spewing dust, dirt, or soot, then that means your furnace is obsolete and could be potentially dangerous if you don’t replace your furnace soon.